Landmark Engineering has over 15 years experience in the Telecommunication Land Surveying field. 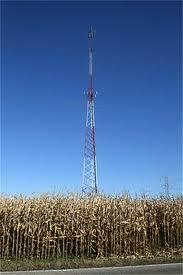 Our experienced staff is here to help you with your cell tower survey needs. At Landmark we have completed over 2500 telecommunication surveys in just the last 10 years. provision of a compound layout through full site civil design. Our Firm does not subcontract our telecommunication work. This allows us to deliver a consistent survey time and time again. in Illinois, Indiana and Missouri.